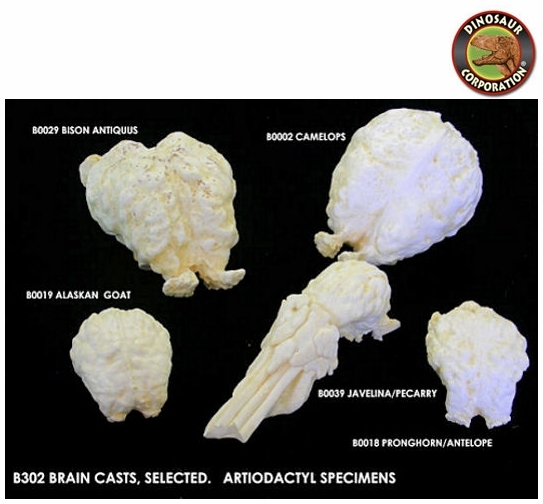 Artiodactyl Brain Set. Museum quality replicas are cast in durable Polyurethane resins. * Camelops hesternus. Yesterday's Camel. 7.7" (20cm) Pleistocene Rancho la Brea. * Oreaminos sp. Alaska Goat. 4" (10cm) Western North America. * Antiocapra americana. Antelope/Pronghorn. 1.9" (10cm) North America.